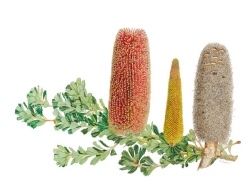 • A unique collection of contemporary botanical art from The Florilegium Society at the Royal Botanic Gardens in Sydney, Australia, has opened at The Shirley Sherwood Gallery in Kew Gardens. Among several exhibitions marking the gallery’s 10th anniversary, this display features life-sized works by 64 Australian and international artists of the society (the name florilegium means ‘a gathering of flowers’). Meanwhile, a showcase of botanical works by Australian and New Zealand painters selected by Dr Shirley Sherwood from among her collection has also gone on show. Down Under II: Works from the Shirley Sherwood Collection follows an earlier exhibition in 1998. And finally, with the Temperate House set to reopen next month after a five year restoration, the gallery is also hosting Plans and plants – the making of the Temperate House which takes a look at the history of this Victorian-era landmark through plans, drawings and photographs taken from Kew’s archives. All three displays can be seen until 16th September. Admission included with Gardens entry. For more, see www.kew.org. PICTURE: Banksia praemorsa by Margaret Pieroni. The Florilegium Society at the Royal Botanic Gardens, Sydney. • Sir Hugh Carlton Greene, director-general of the BBC during the 1960s, has been honoured with an English Heritage Blue Plaque at his former home in Holland Park. Greene (1910-1987) lived in the two-storey semi-detached home at 25 Addison Avenue between 1956 and 1967, a period which mostly coincided with his time as director-general. A former journalist and younger brother to novelist Graham Greene, he had joined the BBC in 1940 and was appointed director-general in 1960, remaining in the post for more than nine years before resigning in 1969. He presided over the BBC during a period in which the broadcaster was forced to reinvent itself following the arrival of ITV. The plaque was unveiled by veteran broadcaster, naturalist and former colleague, Sir David Attenborough. For more on Blue Plaques, see www.english-heritage.org.uk/visit/blue-plaques/. • An new exhibition marking the 100th anniversary of the Women’s Royal Naval Service opens at the Old Royal Naval College in Greenwich on Saturday. The free display explores the lives and experiences of the women who served and trained at Greenwich, spanning the period from World War I to the late 1970s. 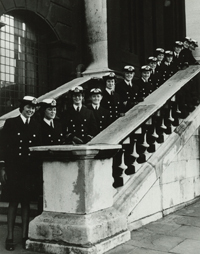 As well as covering the role of the WRNS during the first and second World Wars, the exhibition also looks at the post war experiences of the Wrens and features 16 new interviews and rarely seen photographs which bring to life this chapter in the history of the Old Royal Naval College. The exhibition can be seen until 3rd December. Entry is free. For more, www.ornc.org/wrns. PICTURE: Newly commissioned WRNS officers at Greenwich, 1969. Courtesy Old Royal Naval College. • An English Heritage blue plaque commemorating Stella Reading, founder of the Women’s Voluntary Services, was unveiled at the organisation’s former London headquarters this week. Lady Reading (1894-1971) founded the “army that Hitler forgot” from a single room in the building in 1938 with the so-called ‘ladies in green’ going on to serve in a range of roles – from looking after child evacuees and collecting aluminium for aircraft to serving thousands of cups of tea from static and mobile canteens. 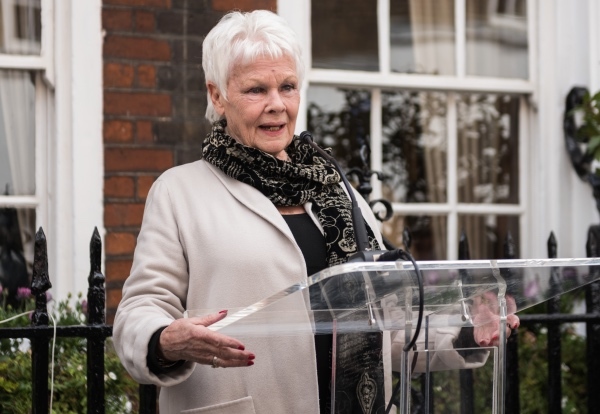 The plaque at 41 Tothill Street in Westminster was unveiled by actress and Royal Voluntary Service ambassador Dame Patricia Routledge. For more on blue plaques, see www.english-heritage.org.uk/visit/blue-plaques/. 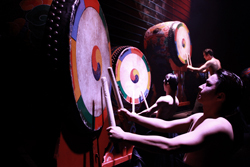 • A year-long season of Korean art in the UK is being launched with a free festival at Olympia London this Saturday. The family-friendly London Korean Festival features food tastings, Korean drumming, martial arts exhibitions, traditional craft workshops and a sneak peak at the Olympic Winter Games in PyeongChang using the latest VR technology. There’s also a chance for budding K-Pop stars to audition for the K-Pop World Festival and a ticketed evening concert at 7pm featuring four K-pop sensations. The free daytime festival runs from 11am to 5.30pm. For more information, visit www.kccuk.org.uk. Tickets for the K-Pop concert can be obtained at londonkoreanfestival.co.uk. • On Now: Picturing Hetty Feather. This exhibition at The Foundling Museum in Bloomsbury explores the depiction of the Foundling Hospital through the life of the fictitious Victorian foundling Hetty Feather. Feather first came to life in 2008 and Dame Jacqueline Wilson has since gone on to write four more books about the spirited character, the first two of which feature the Foundling Hospital. The popularity of the books, which have sold millions of copies, has resulted in a stage show and TV series. This exhibition, the first devoted to Hetty Feather and the Foundling Hospital, explores the ways in which curators, writers, directors and designers have used historical evidence (and gaps in it) to bring the 19th century hospital to life. Objects on show include props and original costumes from the CBBC TV series as well as treasures from the Foundling Hospital Collection and the exhibition also includes immersive experiences such as the chance for visitors to try on costumes, try their hand at script writing and discover their own ‘picturing’ abilities (a reference to the imaginative story-telling Hetty employs to help her cope with life’s challenges). Runs until 3rd September. Admission charge applies. For more (including information on associated events), see foundlingmuseum.org.uk. 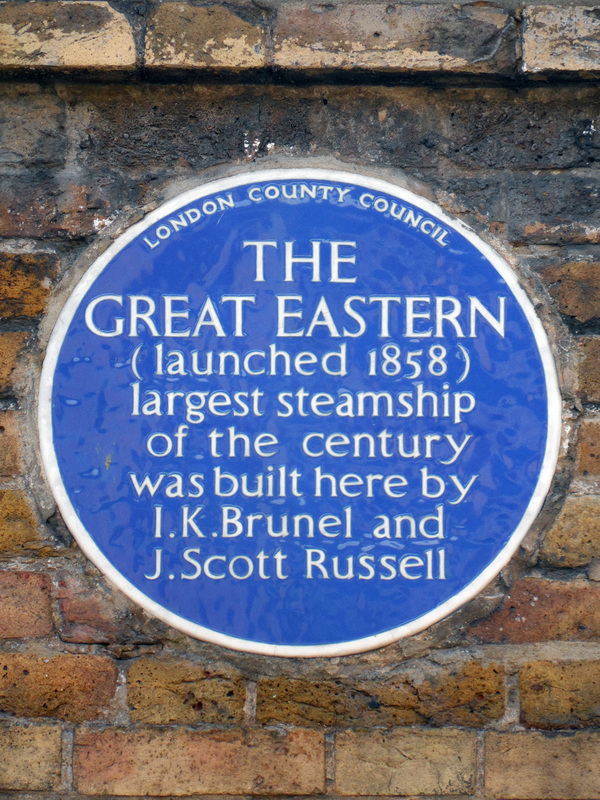 Last week we finished our series looking at notable English Heritage blue plaques and before we move on to our next special Wednesday series, we’re turning things over to you. 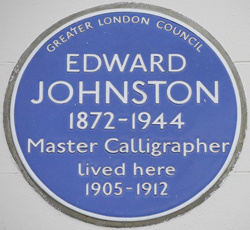 Bearing in mind that the criteria for having a blue plaque includes the fact that the person must have been dead at least 20 years and that at least one building associated with the figure must survive within Greater London (but not the City of London, which isn’t covered by the scheme), who do you think should be commemorated by an English Heritage blue plaque but as yet hasn’t been? The fact the properties can have many residents with the passing of the years means that there’s a select number of properties in London (18 to be exact) which bear more than one English Heritage blue plaque – among them 4 Carlton Gardens in St James’s (home to 19th century PM Lord Palmerston and where General Charles De Gaulle set up the headquarter of the free French forces in 1940). But among that group is an even more select group – properties which bear two blue plaques with both of those people commemorated coming from the same family. The home at 20 Maresfield Gardens in Hampstead (pictured above) falls into this group. Now a museum, the home’s celebrated occupants have included psycho-analyst Sigmund Freud, who lived here briefly in the final years of his life (between 1938 and his death on 23rd September, 1939), and his daughter Anna Freud, the youngest of his six children and herself a pioneering psycho-analyst, who lived here from 1938 until her death in 1982. 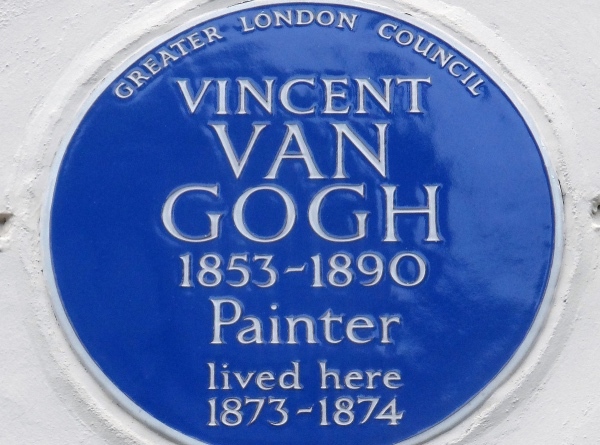 Both occupants have their own blue plaques on the property: Sigmund’s original London County Council blue plaque was unveiled on the site by his daughter Anna – then still occupant in the home – in 1956, the 100th anniversary of his birth. It had deteriorated and was replaced in 2002, at the same time a plaque to Anna herself was unveiled. When Freud had moved to London from Vienna in June, 1938 – following the annexation of Austria by the Third Reich, he had initially lived in Primrose Hill before settling in the property in Maresfield Gardens along with his family and a significant collection of furniture from his Vienna consulting rooms. In 1986, four years after Anna’s death, property was reopened as the Freud Museum and the public can still go inside and see Freud’s study, including his famed consulting couch, just as it was when he lived there. 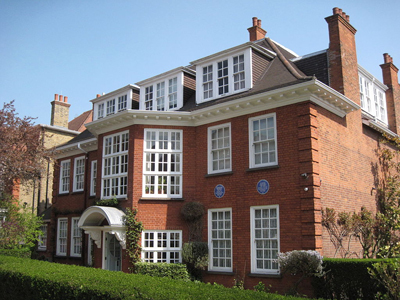 The Freuds aren’t, of course, the only family members commemorated by English Heritage Blue Plaques – others include suffragette mother and daughters Emmeline and Christabel and Sylvia Pankhurst (the first two commemorated on a single plaque at 50 Clarendon Road in Notting Hill and the latter at 120 Cheyne Walk in Chelsea), and father and son Prime Ministers William Pitt the Elder and his son William Pitt the Younger (at 10 St James’s Square in St James’s and 120 Baker Street in Marylebone respectively). WHERE: Freud Museum London, 20 Maresfield Gardens, Hampstead (nearest Tube stations are Finchley Road and Swiss Cottage); WHEN: Noon to 5pm, Wednesday to Sunday; COST: £7 adults; £5 seniors; £4 concessions (including children 12-16); children under 12 free; WEBSITE: www.freud.org.uk. 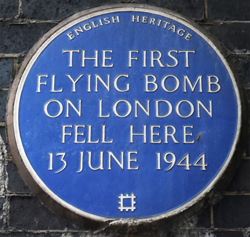 To look at it, you wouldn’t necessarily imagine the memorial marking the former site of the ‘Tyburn Tree’ near Marble Arch was part of the English Heritage Blue Plaques scheme. But, located on the ground on a traffic island at the junction of Edgware and Bayswater Roads, this memorial commemorating the site of the former gallows at what was once London’s execution grounds (and those who died upon it) is just that. While the plaque only mentions one of the names by which the various gallows erected here were known – Tyburn being the name of the village originally here, others included ‘The Elms’, the ‘The Deadly Never Green Tree’ and the ‘Triple Tree’, the latter presumably a reference to the famous three-sided gallows set up here during the reign of Queen Elizabeth I. The last gallows was removed in 1759 when executions were moved into Newgate Prison (for more on the Tyburn Tree, see our earlier post here). The plaque was erected on the site in 1964 by the London County Council; it replaced an earlier triangular plaque the council had erected here in 1909. The memorial was restored and rededicated in a ceremony in 2014 with the placement of three oak trees around it (this picture was taken before the restoration). There is a green City of Westminster plaque nearby which commemorates 105 Roman Catholic martyrs who lost their lives on the gallows between 1535 and 1681 while the deaths of the more than 350 Roman Catholics who died across England and Wales during the Reformation, including those on the Tyburn Tree, are also recalled in a shrine at the nearby Tyburn Convent. 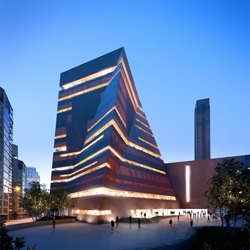 • The stories behind some of the world’s most iconic buildings – from the Sydney Opera House to the Centre Pompidou in Paris – and engineering projects like London’s Crossrail will be exposed in a new exhibition at the V&A on the work of Ove Arup – arguably the most influential engineer of the 20th century. Engineering the World: Ove Arup and the Philosophy of Total Design, which is being staged on conjunction with the global engineering and design company he founded – Arup, surveys the life, work and legacy of Arup (1895-1988) and features more than 150 previously unseen prototypes, models, films, drawings and photographs as well as new immersive digital displays featuring animations, simulations and virtual reality. As well as presenting information relating to a selection of Arup’s most ground-breaking projects – including collaborations with architects such as Richard Rogers and Norman Foster, the display, which is divided into several distinct sections arranged chronologically, also explores the pioneering work of Arup today on projects like Crossrail, technologies for acoustics studies like SoundLab and SolarLeaf – an experimental bio-reactive facade system that uses micro algae to generate renewable energy. The first major exhibition led by the V&A’s new Design, Architecture and Digital Department, Engineering the World runs at the South Kensington museum until 6th November. Admission charges apply. For more, see www.vam.ac.uk/EngineeringSeason. 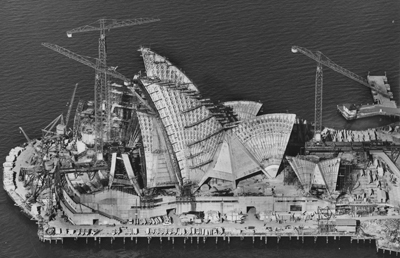 PICTURE (above): Sydney Opera House under construction, 1966; © Robert Baudin for Hornibrook Ltd. Courtesy Australian Air Photos. 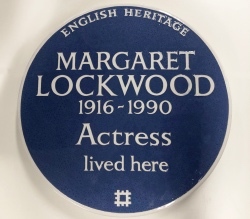 • English Heritage blue plaques were unveiled to ballet dancer Dame Margot Fonteyn and choreographer Sir Frederick Ashton earlier this month. Dame Margot’s plaque was unveiled at her former flat at 118 Long Acre in Covent Garden (conveniently close to the nearby Royal Opera House where she performed) while Sir Frederick’s plaque was unveiled at his former property at 8 Marlborough Street in Chelsea. The pair’s 25 year relationship produced many of her most celebrated performances and his greatest ballets, including Daphnis and Chloe (1951), Sylvia (1952) and Ondine (1958). The unveiling coincided with the release of a new free Blue Plaques app which, as well as helping users to find blue plaques and uncover the stories of those they commemorate, is also intended to provide an expanding series of walking tours. The first, ‘Soho’s Creatives and Visionaries’, follows a route from Oxford Circus to Tottenham Court Road Station, taking in the property where Karl Marx began writing Das Kapital, the house where Canaletto lived and the attic rooms where John Logie Baird first demonstrated television in 1926. For more, see www.english-heritage.org.uk/visit/blue-plaques/. • The 248th ‘summer exhibition’ – featuring the work of 15 international artistic duos in a display curated by leading British sculptor Richard Wilson – opened at the Royal Academy of Arts this week. On display in the Piccadilly institution’s main galleries, the exhibition’s highlights include a new large scale, suspended kite sculpture by Heather and Ivan Morison, two hand-coloured prints from Jake and Dinos Chapman’s Human Rainbow II series, and, an atmospheric photographic installation from Jane and Louise Wilson’s seminal Chernobyl series. Turkish film-maker and artist Kutlug Ataman’s monumental multi-image video installation, THE PORTRAIT OF SAKIP SABANCI, featuring 10,000 LCD panels will also be displayed. Can be seen until 21st August. Admission charges apply. For more, see www.royalacademy.org.uk. • The first major exhibition to explore the history of Egypt after the pharaohs opens at the British Museum today. Egypt: Faith after the pharaohs spans 1,200 years of history – from 30 BC to 1171 AD – with 200 objects showing how Christian, Islamic and Jewish communities reinterpreted the pharaonic past of Egypt and interacted with each other. The exhibition opens with three significant examples of the Hebrew Bible, the Christian New Testament and the Islamic Qur’an – the texts include the New Testament part of the 4th century AD Codex Sinaiticus, the world’s oldest surviving Bible and the earliest complete copy of the New Testament, which is now part of the British Library’s collection. All three are juxtaposed with everyday stamps associated with each of the three religions in an illustration of the relationship between the institutional side of religion and its everyday practice, both key themes of the exhibition. Other exhibits include a pair of 6th-7th century door curtains featuring classical and Christian religious motifs, a 1st-2nd century statue of the Egyptian god Horus in Roman military costume, and a letter from the Roman Emperor Claudius (41-54 AD) concerning the cult of the divine emperor and the status of Jews in Alexandria. Admission charge applies. Runs until 7th February in Room 35. A programme of events accompanies the exhibition. For more, see www.britishmuseum.org/egypt. PICTURE: Codex Sinaiticus, open at John 5:6-6:23. Image courtesy of the British Library. • Still at the British Museum and a free four day festival of art, performance, storytelling and talks kicks off on Friday night to mark the Mexican tradition of the Days of the Dead. The annual celebration, which draws on both native and Catholic beliefs, is held on 1st and 2nd November and sees families gather to remember relatives and friends who have died. The festival, which is being conducted in association with the Mexican Government, includes a Friday evening event, a weekend of family activities featuring storytelling, films, music and dance, and a study day on Monday featuring lectures, gallery talks and activities. The museum will feature elaborate decorations by Mexican artists – including Betsabeé Romero – throughout the festival with a particular focus on the Great Court and Forecourt. Events – which run from 30th October to 2nd November – are free. For more, see www.britishmuseum.org/dotd. • Horrible histories indeed! Hampton Court Palace and Kensington Palace are both hosting ghost tours from this weekend. The tours focus on some of the more grisly aspects of the history of the palaces with tours at Hampton Court featuring a visit to a shallow grave which was only uncovered in 1870 and those at Kensington Palace encountering the gruesome details of King William III’s fatal horse-riding accident and Queen Caroline’s horrific final hours. Admission charges apply. For more details, head to www.hrp.org.uk. • Animal welfare campaigner Maria Dickin (1870-1951) and art historian EH Gombrich (1909-2001) have been honoured with English Heritage Blue Plaques. The plaque commemorating Dickin – founder of the People’s Dispensary for Sick Animals (PDSA) and of the PDSA Dickin medal, awarded to animals associated with the armed forces or civil defence who have shown conspicuous gallantry and devotion to duty – has been placed on the Hackney house at 41 Cassland Road where she was born and spent the first few years of her life. Meanwhile the plaque to Gombrich was placed on the house at 19 Briardale Gardens in Hampstead where he lived for almost 50 years, from shortly after publication of his seminal work The Story of Art to his death in 2001. For more see www.english-heritage.org.uk/visit/blue-plaques/. • A new pleasure garden will be built in the city’s east as part of celebrations for next year’s Diamond Jubilee. London Pleasure Gardens, announced back in March, will be built upon a 60,000 square metre site at Pontoon Dock, opposite the ExCeL Exhibition Centre, and consist of an “ever-evolving creative playground for both resident Londoners and tourists alike”. The gardens, which will feature landscaped walkways, a floating cinema, an ‘adult’s playground’ and a range of facilities such as a ‘glass cafe’ – are expected to be open for the Queen’s Jubilee Weekend on 1st June. It’s expected that more than 40,000 people a day will pass through the site during the Olympics. London has had a long association with the concept of pleasure gardens – places where people gathered to listen to music, see art, eat and drink and talk, the most famous of which was the Vauxhall Pleasure Gardens. But the Royal Docks also had its own pleasure gardens in the past – these existed between 1851 and 1884 and were named the Royal Victoria Gardens. For more, see www.londonpleasuregardens.com. • Music hall star Dame Gracie Fields has been honored by English Heritage with a blue plaque on the Islington house where she lived for three years in the 1920s. It was while living at 72a Upper Street with her parents and first husband Archie Pitt, that she consolidated her reputation as one of Britain’s most popular performers and it was also during this time that she recorded for the first time (she was to become a regular on the BBC and by 1933 had cut a massive four million discs) and appeared before King George V and Queen Mary at a Royal Variety Performance. Following her success, Fields and Pitt built a mansion in The Bishop’s Avenue, Hampstead, called ‘The Tower’ in honor of the show which had made her a star – Mr Tower of London. She later separated from Pitt and married an Italian born director Monty Banks. They moved to the US in 1940 amid fears her husband would be interned and, after the war, she settled on the Italian island of Capri where, following Banks’ death in 1950, she married again. She made her final appearance on the London stage in 1978 – closing a Royal Variety Performance – and died back in Capri the following year. • And, briefly…..A new species of dinosaur – Spinops sternbergorum – has reportedly been discovered at the Natural History Museum, identified from bones previously gathering dust on a shelf at the museum. • On Now: Imagined Lives: Portraits of Unknown People. This exhibition at the National Portrait Gallery centres on a group of 14 portraits from the 16th and 17th centuries which depict unknown people. Originally thought to represent famous figures like Queen Elizabeth I, the identity of the sitters is now considered unknown. In response to the pictures, eight internationally renowned authors – from Alexander McCall Smith and Joanna Trollope to Julian Fellowes and Terry Pratchett – have written imaginative short stories about the portraits, bringing them to life. The exhibition was originally shown in Somerset but is now running at the NPG until 22nd July. Admission is free. For more information, see www.npg.org.uk. • On Now: London and the Olympics. The Museum of London is hosting a new display which looks at the 1908 and 1948 Olympic Games held in London but, in twist, looks at not only the experiences of Londoners but those of the 41 man team Peru sent to the 1948 games. Pictures included in the display come from an album made by one of the athletes, Enrique Mendizabal Raig, recording the team’s visit (you can find the images on Flickr here). Entry is free. Runs until September. For more, see www.museumoflondon.org.uk.